We help organizations create nimble and embedded risk management processes that mitigate threats they face before they become a crisis. Climate change and other emerging risks are predictable but hard to quantify. These are risks that develop gradually but have dramatic potential impacts if and when they materialize. We can help you create a sustainable process to identify, assess and monitor emerging risks within your environment using both qualitative and quantitative key risk indicators (“KRIs”). We perform diagnostics to help you determine your ERM strengths and weaknesses against best practice standards. We can help you use these results to increase the rigor of your ERM processes to move your program up the maturity curve. We can help you improve risk management programs through customized advice and solutions. Risk Oversight & Governance: Board reporting and engagement; risk management training; definition of key risk roles/responsibilities. 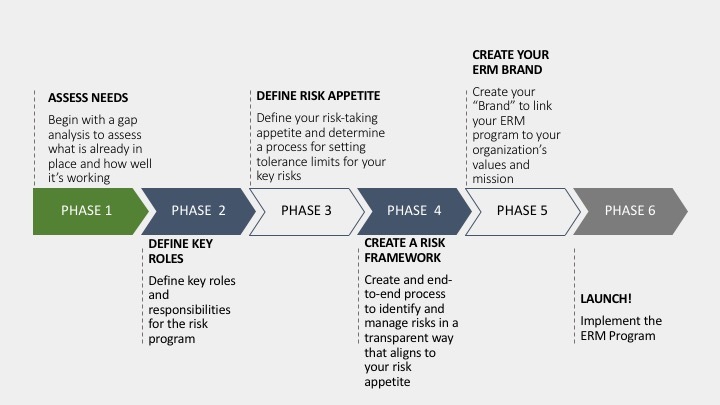 Risk Framework: risk assessments and metrics; defining risk appetite; risk reporting, metrics and analytics; policy & procedure review/enhancement. Black Swan provides operational due diligence (ODD) support for a variety of investor clients across the financial services industry. We have extensive experience conducting ODD reviews across diverse investment strategies, including hedge fund, infrastructure, private equity and traditional asset managers. We can challenge fund managers and our informed decision-making is enhanced through market insights and external benchmarking. We tailor our approach to different fund types and align with investment due diligence timing and/or fund close deadlines. Key areas of focus: people and culture, financial strength, risk & compliance frameworks, IT infrastructure, business resiliency & crisis management, and trading and operational processes and procedures.